Sold a Single Family home in 2018 in Cannon Beach, OR. very encouraging and respectful. We were "kept in the loop" at all times. Also, helpful with staging suggestions. We would not hesitate recommending Alaina to any one who wish to buy or sell their home. Bought a Single Family home in 2018 in Tolovana Park, Cannon Beach, OR. Sold a home in 2018 in Gaffney Lane, Oregon City, OR 97045. Sold a Single Family home in 2018 in Wheeler, OR. Alaina helped us purchase a newly listed house and did a great job helping us negotiate and manage the sales process. She was very helpful at providing subsequent visits to the property prior to closing and also at providing names of vendors to help with the take over of the home. Alaina worked with us for over 2 years to find our home. As out of state buyers, she answered all the questions we had about various properties, gave her honest opinion on whether she thought the home was right for us, and also videotaped walkthroughs of homes we wanted additional details on. She made our purchase smooth and supported us throughout the process. Bought and sold a Single Family home in 2018 in Astoria, OR. Alaina and her team are so very accommodating. She made selling and purchasing our home a breeze. I could not have asked for a better experience, will definitely be using her for all our real estate needs in the future! Sold a Single Family home in 2018 in Seaside, OR. Bought a Single Family home in 2011 in Arch Cape, OR. Alaina is very professional realtor! Combine this skill with a warm, energetic and no- nonsense personality and you can’t go wrong! Alaina truly wants to help you find a home that’s just right! I wouldn't hesitate to recommend Alaina. We love our beach house!!!! Bought a home in 2017 in Tolovana Park, Cannon Beach, OR 97110. Alaina is a great realtor. Alaina helped me to find my Cannon Beach home which I am thoroughly enjoying. She knows her market completely and is energetic and proactive. She looks for just the right house for her prospective home buyers according to the profile she has determined from listening to and observing them while seeing homes. Alaina was patient and willing to go out of her way for me throughout the whole process. She enjoys her work and she likes people and is well connected in the community. I highly recommend Alaina. Bought a home in 2018 in Manzanita, OR 97130. I contacted Alaina about a building lot we were looking at that was for sale by owner. She spent time with us researching the lot and making sure it was a solid investment. It was clear that she had our best interest in mind. She is very pleasant and very knowledgeable, and helped steer us in the right direction. I’m so glad things worked out you.It was my pleasure to be of help to you. I’m looking forward to seeing your new home when it’s finished. Consulted me on buying or selling a home in Surf Pines, Seaside, OR 97138. Sold a Single Family home in 2017 in Cannon Beach, OR. Alaina was great to work with for the sale of our home. It was tough for us to move away from the beach but she was supportive in every way & I would truly recommend her to anyone buying or selling in Cannon Beach. She's a great lady & knows her stuff!! Alaina is wonderful to work with. She's very knowledgeable, responds quickly and helpful in negotiations. We really enjoyed and appreciated her talents! We decided that it was time to downsize so we contacted an experienced professional, Alaina Giguiere. We are so pleased that we have sold our beach home & now we can concentrate on our new granddaughter too. We found Alaina to be attentive to detail, through & always in touch with us, keeping us updated on every aspect of the sale. Recommending Alaina is a pleasure. Sold a home in 2017 in Tolovana Park, Cannon Beach, OR 97110. Amazing, Amazing realtor! Always available to answer questions, super knowledgeable. Wouldn't hesitate to use her again or suggest her to anyone. I've dealt with many realtors in my years, so to impress me as she has done is no easy feat. Sold a Single Family home in 2017 in Arch Cape, OR. Alaina's thoughtful approach to selling my home put my mind at ease in what could have been a stressful process. It was a family house for over forty years and Alaina understood both the emotional attachment and the need to get the maximum return. She laid clear options out for me, but made it clear that the decisions were mine. I highly recommend Alaina. Any seller would be in good hands. Alaina Giguiere knows real estate and understands the coastal area. She kept us informed as the house was shown and provided feedback from other realtors as well. Alaina's response to phone calls, emails and texts was always timely. Her experience was appreciated as the sale of our house proceeded smoothly to completion. We would highly recommend Alaina. Bought a home in 2017 in Surf Pines, Seaside, OR 97138. Alaina has been great in helping us purchase multiple properties. She is very knowledgeable about what the OR cost has to offer and we've had an awesome experience working with her. Would do it again in a heartbeat. Bought a Single Family home in 2017 in Seaside, OR. Alaina was great to work with. It was like she knew what we wanted before we knew what we wanted. The house we purchased is perfect for us and exactly where we wanted to be. Being from out of town and not knowing the area she provided us with a lot of information, options and insight. When we found the house we liked she moved quickly and negotiated a below asking price and all the extras we asked for. Not to mention a very quick close so we could enjoy the holiday weekend in our new vacation home. I would definitely recommend working with Alaina. Not only is Alaina a great agent and a true professional, she is also honest, pragmatic, and fun. She seems to know everything about every property and business in town, and is more than happy to help before during and after the sale. I have to admit I don't know any other agents in town, but I can't imagine a better one. Sold a home in 2017 in Neahkahnie Beach, Nehalem, OR 97131. Alaina is very alert to possibilities, always available, skilled at anticipating situations, very competent and pleasant. She follows through from a to z without prodding and shows both respect and concern for the well being of her clients. Buying and selling a home can be a very emotional experience! Highly recommended! Sold a Single Family home in 2017 in Tolovana Park, Cannon Beach, OR. Bought a Single Family home in 2016 in Nehalem, OR. Alaina did a fantastic job from start to finish with my purchase of a home on the Oregon coast. She knows the local market inside and out and was a complete pleasure to deal with on all levels. Bought a Single Family home in 2013 in Manzanita, OR. Bought a Single Family home in 2016 in Gearhart, OR. It has been my pleasure to work with you both. The part of it is that we have become great friends in the process.. Thank you so much for you kind words. I love that I can help make dreams come true. We have bought and sold a number of homes and Alaina is the best agent to date. Her communication skills are outstanding and prompt. She is also well-connected with other agents on the north coast of Oregon. Bought a Single Family home in 2016 in Seaside, OR. Alaina has found two properties for me in the past several years. She was wonderful for both. I live across the country, and Alaina made it a smooth transaction. Darren it is always fun to work with you. I appreciate your continued business and look forward our next deal together..
Bought a Condo home in 2016 in Cannon Beach, OR. Bought a home in 2016 in Neahkahnie Beach, Nehalem, OR 97131. Sold a Single Family home in 2016 in Manzanita, OR. It was my honor to help you with the transaction. Given the trying circumstances I am so glad I was able to assist. Bought a Single Family home in 2014 in Tolovana Park, Cannon Beach, OR. Showed home in 2016 in Tolovana Park, Cannon Beach, OR 97110. Alaina is always there for you when it comes to an honest answer in her assessment of real estate. Her knowledge of the North Coast, especially Cannon Beach, Arch Cape, and Manzanita is vast. She has consistently wowed her customers with her vast market knowledge of the area in which she lives in. Mike Your kind words are so appreciated. I am always here to assist you, your family or friends anytime they need a Broker at the coast. Sold a Single Family home in 2016 in Tolovana Park, Cannon Beach, OR. Bought a Single Family home in 2016 in Tolovana Park, Cannon Beach, OR. She was able tom identifying very fast our needs and present us with appropriate opportunities. Alaina was extremely knowledgeable with the real estate value and trends. When needed it she provided accurate comparable. Alaina was bale to help complete the transaction without pain. Bought a Single Family home in 2016 for approximately $475K in Cannon Beach, OR. Out of all the agents we contacted online, Alaina replied promptly and efficiently. We came in from out of town and she dropped everything and made us the priority, driving us around for 3 days. She showed us recent sales, available properties, and gave us a very deep knowledge of the market and history. It is obvious she knows the market better than any other agent in town. There was never any pressure, no hard sell. She asked a lot of questions and got to know us. In fact she was very honest about places we saw that weren't going to be right for us. The communication continued by email and text for weeks afterwards. We then returned for a final few days and made a decision and she was fantastic every part of the way. I've worked with a lot of real estate agents in the past, and she doesn't feel like an agent- she feels like a real estate councilor and friend. Thanks to her we bought a fantastic home and cut through the clutter and emotions that can come with a purchase of this size. She made it easy. Alaina loves the coast community and wants what is right for her neighbors and the community. We'd highly recommend her to anyone looking to buy or sell. Sold a Single Family home in 2016 for approximately $325K in Cannon Beach, OR. Alaina was very up to date on local market values and was a great advisor on marketing, pricing and all other information related to getting our home sold for market value in a very timely manner. She has great connections on the west Oregon coast market via multiple sites online and other realtors and had showings from time listed to the sale. The home sold quickly within a short period of time. Alaina kept us up to date with reviews of the showings and all aspects of the pending sale as it was being processed. We could not be more pleased with her and her companies services and highly recommend her to others for their real estate needs. Sold a Single Family home in 2014 for approximately $500K in Manzanita, OR. Bought a Single Family home in 2015 for approximately $800K in Cannon Beach, OR. A knowledgeable Pro from start to finish- Highly recommend Alaina, and would also specifically highlight her negotiations skills. I think the above sums up everything you need to know, although Zillow requires 150 characters in their reviews, so hopefully I have now accomplished that. Sold a home in 2015 in Central Beaverton, West Slope, OR 97225. Alaina was wonderful. She was patient and so helpful. She was great at the negotiations and worked hard to ensure we got the best deal. We looked at many properties with her and she was positive and also knew the market and helped us make the best decision for our family. Sold a Multi Family home in 2015 for approximately $400K in Cannon Beach, OR. Alaina was great. She helped us market the property and gave us suggestions on getting it ready to show. She was knowledgable and supportive through the entire process. Alaina is very professional but also fun to work with! Alaina helped my husband and I find a wonderful beach home 10 years ago and we knew she was the realtor for us when we were ready to sell and buy a new home last year. We felt like she listened to our wants and needs to help find us just the right home and no question was too stupid! Alaina made the whole experience of selling and buying as easy. Without Alaina we would still be living in Phoenix, AZ instead of on the Oregon Coast. After our first contact with her in the summer of 2003 she kept us informed about what was happening in our target area-Manzanita Oregon. Being a small town, there wasn't a great deal of inventory. In 2004, she showed us more houses as well as a few lots. The lot we selected was not for sale, but Alaina put together a proposal that included both the lot and a home. That strategy worked, but another party outbid us. Alaina continued to search for another lot for several months, until the original lot looked like it might become available once more. She immediately called us, informing us of the possibility and how she thought we should make a proposal to a "twice burned" seller. In three days, we had secured a deal and were the owners of an ocean view lot. I would describe Alaina as knowledgeable, efficient, thoughtful, persistent and, when necessary, aggressive. I would also describe Alaina as a real estate agent that cares and who has become a friend. After the sale we had to work with the county to make our plans happen. It was after the closing, but Alaina put in a lot of time helping us through the process, to make sure we were successful in realizing our dreams. Alaina was very easy to work with, and really helpful with the backs & forths of buying our house. She got us the information we needed when we needed it & kept track of what was happening during the whole process. When we needed to step back for a bit to consider our next steps she let that happen without being at all intrusive. We truly enjoyed working with her. Alaina is who you want to trust when purchasing a home. I am the man who hates car salesmen, the man who does hours of research before any purchase over a couple hundred dollars and the man who regards trust and integrity as the main credentials when working with anyone. Alaina fits the bill for my ideal partner in the home buying world. She had me and my family in mind the whole time, which I feel is rare (as most agents are only worried about commission). She knows the area better than anyone and her tour of Cannon beach solidified my thoughts of “I could really see myself living here”! I would highly, highly recommend Alaina Giguiere. My wife and I have wanted to move to the coast for about twenty years. We began our serious property search in 2009, and began working with Alaina because she was one of the very few agents (perhaps the only one) who covered both Cannon Beach and Manzanita. Throughout our search for that "just right" property, Alaina has patiently and skillfully guided us through several property investigations. Now, with her help, we've acquired that ideal parcel on which we'll build our new home. We would recommend her without reservation. How likely are you to recommend Alaina Giguiere? Alaina helped my wife and I find a home at the beach in the summer of 2012. She was extremly personal yet professional in narrowing down the type of home we would like and the price we could afford. One of Alaina,s greatest assets was her honesty and caring for her clients. She was not just trying to sell a home. If there was a home she felt was not for us, she would tell us up front. Her first priority are her clients. In addition, Alaina is completly knowledgable of the process. When we found a home we wanted she guided us thorough negotiating an acceptable price and made sure all terms were met. Alaina is also very responsible in keeping the client informed regarding every detail of the sale. In short, Alaina made looking for a vacation home FUN! We would highly recommend her to anyone interested in a coastal home and would not hesitate to use her services again. Connect with Zillow on Facebook, Twitter, Zillow Blog and Zillow Mobile. I would and have recommended Alaina for years. She is a professional, but doesn't take herself so seriously she forgets about the client. She helped me find my first home in Cannon Beach and made sure it would be an investment I would be happy to have made for the long run. It took looking at many many many places to find the right match, but Alaina was always encouraging and helpful in the process of deciding what not only "looked" good, but would also be a match for what I said I were must haves. Then years later when it was time, and I needed more space, she was the consummate professional. This time looking for a home with more "space" took us from Nehalem to Elsie, and places in between. Not afraid to traipse "over hill and dale" in all kinds of weather to find the home that would work for me. She was always ready with resources to help guide the process. When finally we found the place she was there to make sure everything stayed on track even when I was out of the country. I am grateful for her dedication to her work and her ability to make sure things are done right. She would without hesitation recommend her to anyone who is looking to buy on the north Oregon Coast. 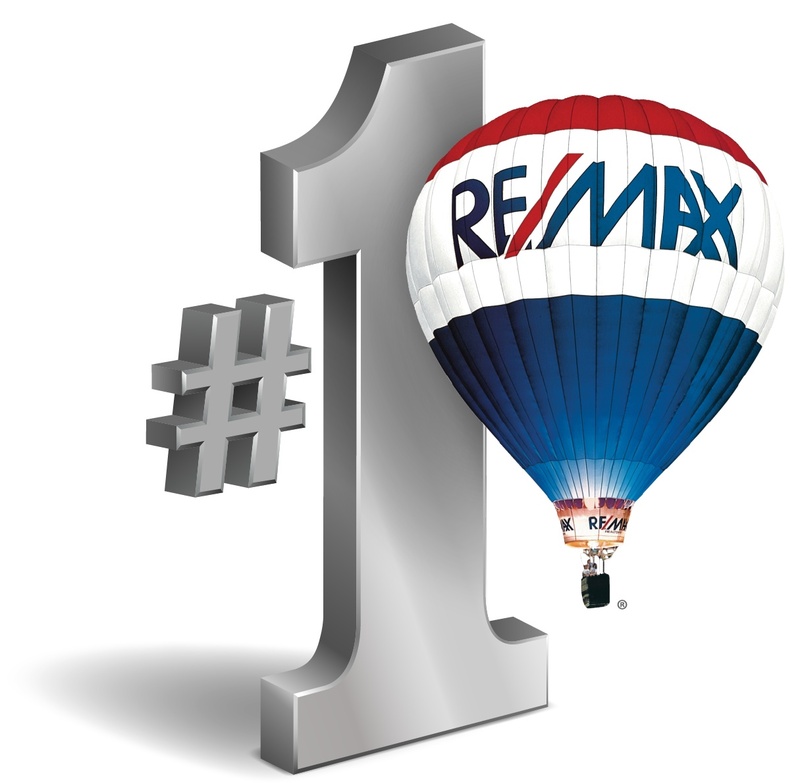 Alaina and Marty Giguiere are exceptional real estate agents - we would highly recommend them/REMAX if you are looking for a home. My husband and I spent a long time looking for the right home for us on the Oregon Coast - and Alaina helped us find the perfect place. She is highly skilled at understanding her clients needs, as well as providing excellent guidance through the entire transaction. My wife Rose and I cannot recommend Alaina highly enough. Between the 2 of us, we have sold 12 houses and Alaina is the best realtor we have ever worked with. Our home was presented in a very professional way, online and otherwise, and she utilized the latest and most effective marketing tools to get our home sold. Rose and I always felt Alaina was working in our best interest and made our departure from Cannon Beach as easy as could be expected.